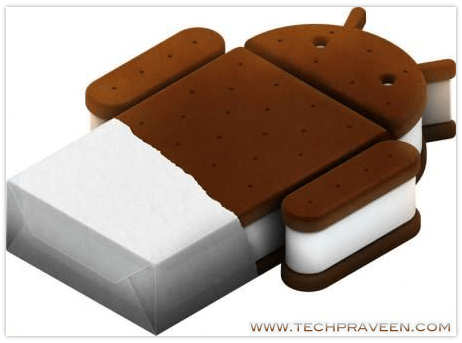 Google has launched the latest version of Android which is code named as Ice Cream Sandwich 4.0 or Android ICS. The latest update of Android has some new features and new looks which differentiates it from Android Honeycomb. It will be available for both smartphones and tablets. It is programmed to integrate the tablet and smartphone experience and make it smooth and easy to use without the glitches of the earlier versions. Ability to take screenshots: Now you can use your Android phone to take screenshots without installing any third party applications. It has been inbuilt into the system. You need to hold down the volume key and the power button to take a screen capture. Improved Font System: A new font system has been introduced which is more attractive and pleasing than the previous versions. The new system is called Roboto and is specifically designed for high resolution screens and to make the interface look like a magazine. Android Beam: This new feature will allow two Android phones to exchange Web pages, contacts, applications and media securely and is based on the latest NFC (Near Field Communication) and NDEF Push technology. Instant Voice: This may not be as advanced as Apple’s Siri launched in the iphone 4S but the latest Android version will take less time in converting voice to text. A new improved Camera: The latest Android has added new camera features which include a new user interface along with improved image editing features. The camera speeds have been improved along with the video recording capability. Various new photo effects have been provided. New Web Browser: Android ICS comes with a new version of Chrome mobile which gives you the ability to sync your bookmarks with the computer. Pages can be saved for offline viewing and you can open upto 16 tabs. These new features will increase the usability and popularity of Android and will help in garnering a larger market share vis-à-vis iOS and Windows based phones and tablets. Catherine Jones writes for www.markmitsuglendale.com. She enjoys content and writing about the social sphere. The new features are likely to improve the popularity of Androids and they seem to be quite substaintial for those who are fans of this system. The instant screenshots feature is not actually new. It’s an old feature in HTC Sense (version 3.0, as far as I know). What’s new about it in ICS is that it’s natively built into the operating system itself, which means all Android phones that use ICS will be able to use it, even if those phones don’t have Sense 3.0. Even Face Unlock, which the list in this article skipped mentioning, is not an entirely new thing. Visidon AppLock has been providing such feature for a long time. Again, ICS natively built that feature into Android. i like the new web browser in android 4.0, well suggest me some cheap samsung android models, i like to buy a new one. hey praveen i wouldd like to ask one thing..
so i just wanted to know what basically is the difference between them..??? few reasons i figures out are screen size, resolution, processor, camera quality etc. but do these features make price vary so much…?? ?